First 25 new members receive a FREE Callaway Mac Daddy Wedge of choice! Must purchase prior to 10/15/2016. Must pay in full. 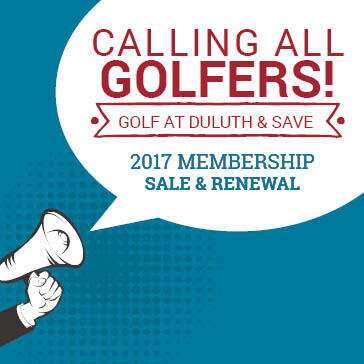 Golf shop credit must be used prior to 12/31/2016. Golf Shop credit is valid for in-stock merchandise only. Passes are valid at Enger Park and Lester Park Golf Courses. Pass price listed above does not include tax. Senior is anyone 62 years and older. Young adults are anyone 24 years old and below.